This is the second meeting, following the first one organised by the University San Francisco de Quito in Galapagos with as topics: Beyond the Standard Model. The main goal of the meeting is to discuss progress and future directions related to our great ignorance of the energy and matter content of our Universe. Astrophysical observations combined with accelerator experiment results, e.g., from the LHC, will help in the understanding of fundamental puzzles like dark matter, dark energy and black holes. Topics will include dark matter, dark energy, neutrino cosmology, black holes and gravity. This meeting will bring together theorists, astrophysicists and particle physicists, and we hope that original new ideas will emerge from discussions. 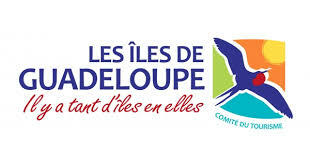 We are grateful to the Council Region of Guadeloupe Council Region of Guadeloupe for its financial support for scientific events. Therefore this conference will be fees free. We will offer the welcome cocktail, and the shuttle.